Clifford Swan's internship program aims to provide talented undergraduate students who have shown interest in the investment and wealth management business a fundamental educational experience and the opportunity to develop skills in a number of areas of an investment advisory firm. 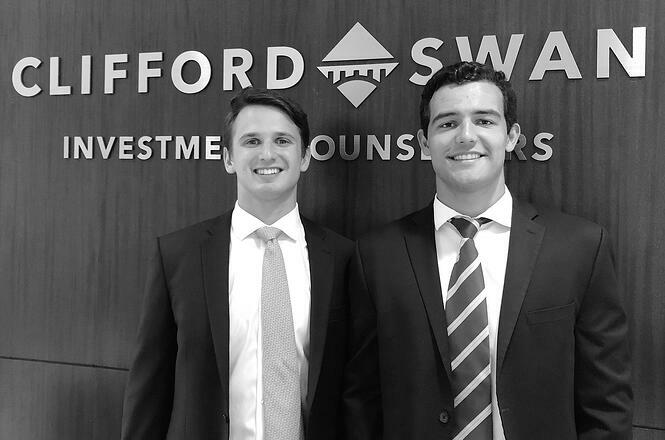 Charles Mangum and Henry Stellwagen were selected from over 200 applicants for the fifth year of Clifford Swan’s summer internship program, which was led by Jennifer Maqueda. Charlie is a native of Boston and a rising junior at Claremont McKenna College, where he majors in both Economics and Government. Henry is a rising senior at the University of Southern California, where he majors in Economics, and is from Pasadena. During the two-month internship, Henry and Charlie completed several projects and learned about key aspects of the firm, including portfolio management, securities analysis and research, trading and execution, compliance, and marketing.